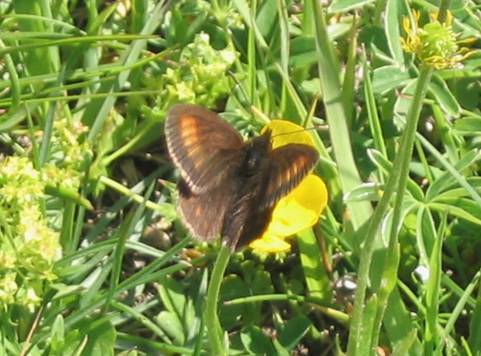 The Blind Ringlet is a small Erebia which looks rather like a melampus without the eyespots. 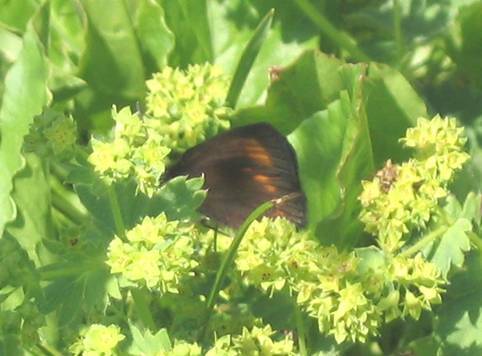 Indeed you need to look closely to separate the species as melampus' pin-prick spots can be tiny. I've noticed something which could help to identify this one more readily.....the veins on the forewing are conspicuous as they scythe through each of the red patches. I guess this is particularly visible as no eyespots are getting in the way! 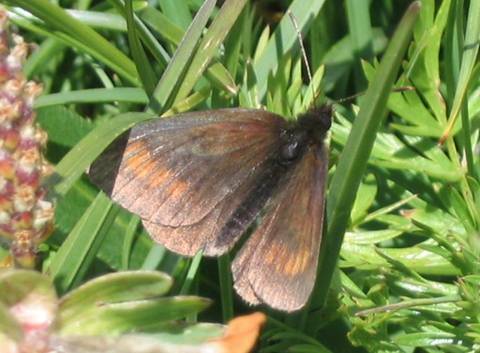 The photographed specimens were flying in Alpine meadows around 2200m.